Hope you all had a successful and safe shopping weekend! Black Friday and Cyber Monday are THE best days for retail therapy but can be the worst days for your wallet…ouch! Hopefully these celeb looks can cheer you up! 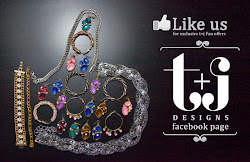 At t+j Designs we are always looking for inspiration and what better place to find some than the red carpet? Here are our two favorite looks from the IFP Gotham Independent Film Awards in New York City. This first look is the always-stunning Amy Adams in Giorgio Armani. We love her sleek, asymmetrical peplum LBD! She completed her look with classic black ankle-strap heels by Brian Atwood and Lorraine Schwartz jewels that are to die. This second look (on the left) is Allison Williams. 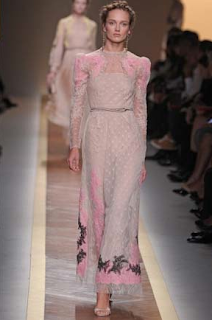 She was pretty in pink in her Valentino, Spring 2012 gown. We love the romantic aspects brought in by sheer tulle puffy sleeves, and the pops of black and neon pink lace made a great contrast to the overall powder pink shade. She styled the gown very similarly to the runway photo shown above (on the right) with strappy sandals and silver gems, but instead chose to keep those beautiful brown locks down by her face. What other looks did you love from the 2012 Gotham Awards?